In 1989, Jodie discovered her calling in real estate and began her career with a large local real estate firm where she was named Rookie of the year. Shortly thereafter, searching for a firm that shared her unrelenting focus on professionalism and integrity, she joined Marcus & Associates, Inc. She has been named Realtor of the Month multiple times each year as well as Realtor of the Year for 2003, an award given to the highest producing Agent in the Company. Additionally, Jodie has been nominated by her clients for the Aloha Aina Peoples Choice Award every year since its inception. In 2004, Jodie was promoted to Vice President of Marcus & Associates, Inc. She is a licensed Broker and has been designated a Certified Residential Specialist by the National Association of Realtors. A graduate of Hawaii Baptist Academy, Jodie earned a B.A. in Marketing from the University of Hawaii at Manoa. Her energetic personality and can do attitude propelled her to many leadership positions during her school years. This hasn’t changed (unlike, she says, her dress size and hair color!) as Jodie continues to lead, serving for several years as the program chair for the Certified Residential Specialists programs, and organizing many events for local charities. 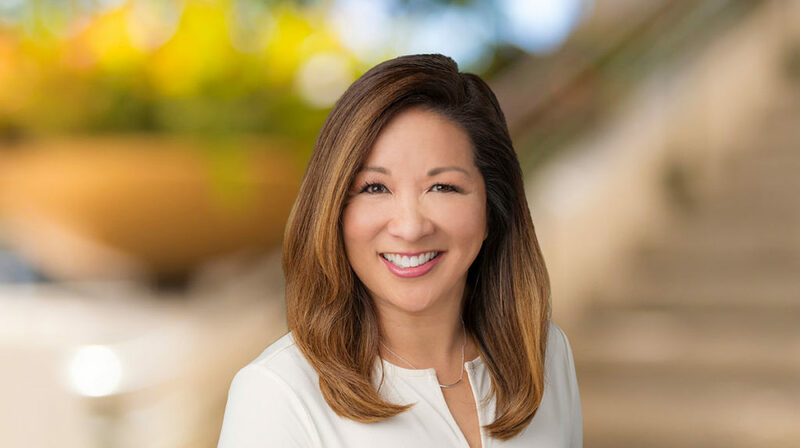 She also serves on the Professional Standards Committee of the Honolulu Board of Realtors. A true professional, Jodie enjoys helping her clients identify and achieve their real estate goals. She also takes great pride in her ability to maintain relationships through an honest and trustworthy approach to everything she does. Her integrity and straightforwardness in business as well as her personal life, along with her cheery, even disposition, has resulted in many friendships and relationships, the source of many referrals which has helped to define Jodie’s success. A leader in school, a leader in her Company, and a leader in her industry, let Jodie be the leader of your real estate team.